Next month, a brand-new take on Hellboy will be hitting theaters. Unlike Guillermo del Toro’s version, the 2019 Hellboy takes a bit more direct inspiration from the comics and takes several cues from a storyline called The Wild Hunt. 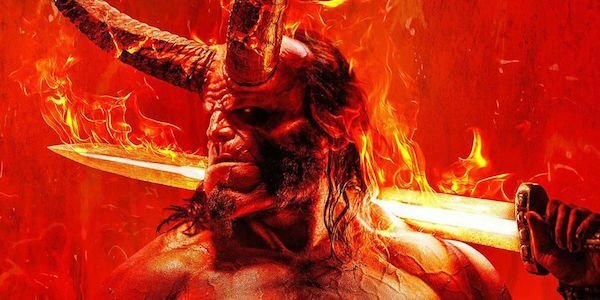 Hellboy has some stiff competition in April, but should the film do well enough, producer Lloyd Levin said that there are already a couple sequel ideas mapped out, but not in any way that’s set in stone. In the new film, Hellboy (David Harbour) takes a trip over to Great Britain to battle the Blood Witch Nimue (Milla Jovovich). The story involves everything from dragons to undead armies to Excalibur to flaming crowns. Most of these were elements in a comic book storyline called The Wild Hunt, which serves as partial inspiration for the reboot. As such, there’s some direction to take the story, should Hellboy be greenlit for a sequel. All of it is pretty much right there in the comics written by Mike Mignola, which served as the DNA of the establishing the reboot. So, while there is nothing etched in stone, producer Lloyd Levin told Collider that they have an idea where the story would go in a sequel. Hellboy doesn’t just take from one aspect of the comics. While there is plenty of The Wild Hunt in there, the story also has Hellboy boxing demons in Tijuana, which is from Hellboy in Mexico. The story also draws from Darkness Falls and The Storm and the Fury, and is more like a collage of stories, according to director Neil Marshall. You can see a comic book accurate Hellboy in, well, Hellboy, out in theaters on April 12. To learn more about the film, here is what we know so far.